What does CTOTD stand for? Well, I noticed that I've been posting a lot of Christmas trees on my instagram account, so I decided on the title "CTOD: Christmas Tree Of the Day". Which made me wonder if I can take a snapshot of a different Christmas tree every day till the 25th? Challenge accepted! 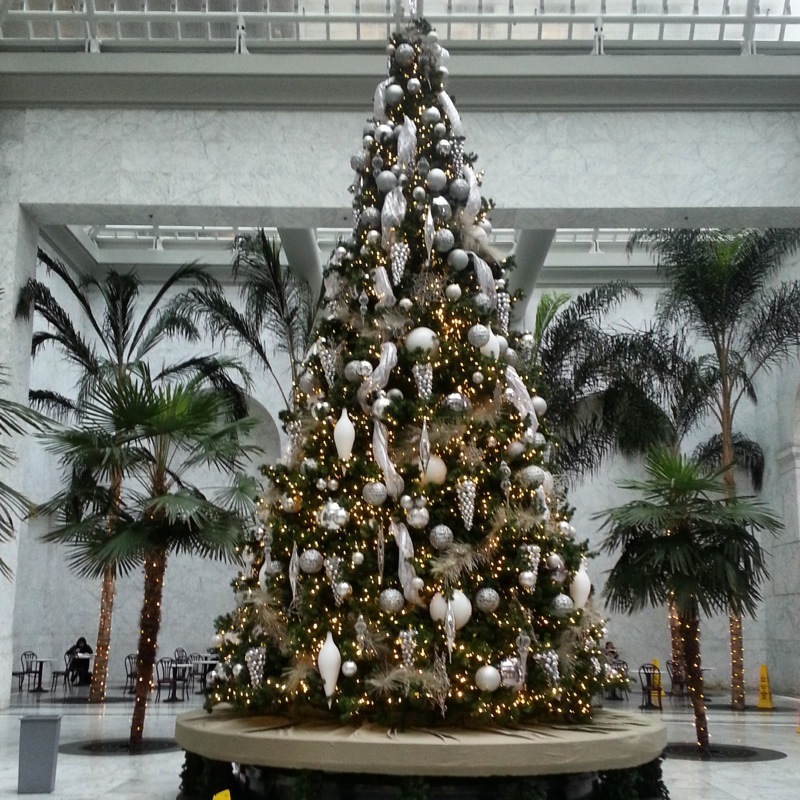 Today's tree was spotted on my way to the Habitat office. It's in the courtyard of the office building where I take my guitar lessons. Who can resist that little smile? 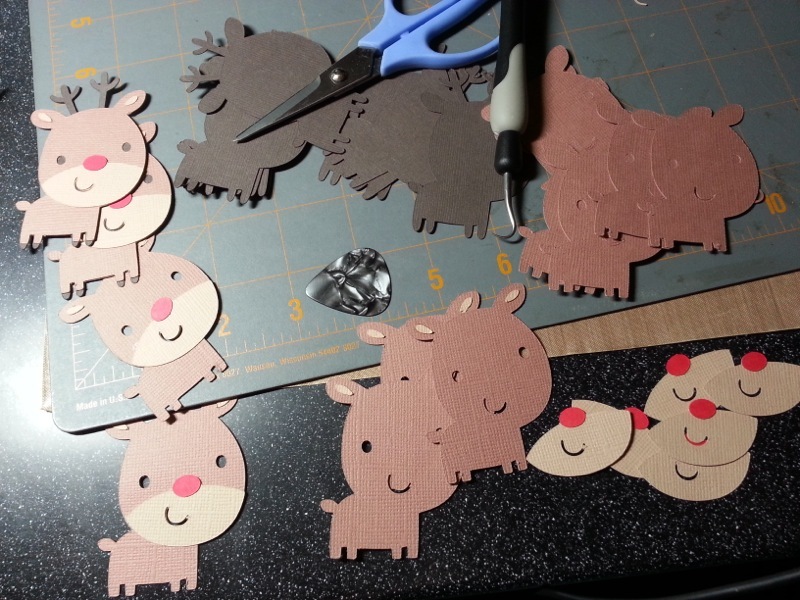 Putting together a bunch of little Rudolphs. 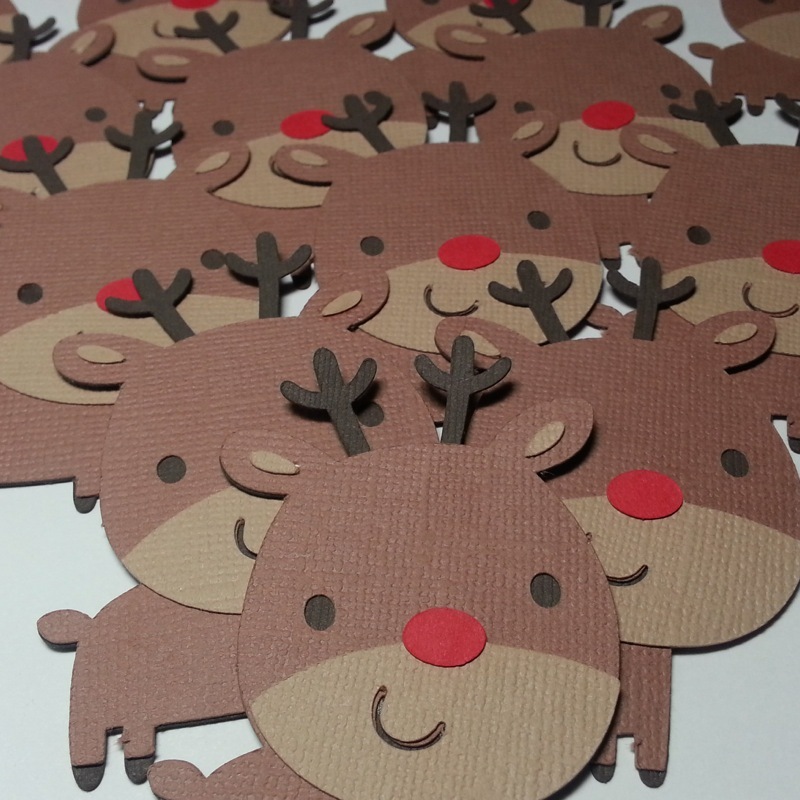 Those Rudolphs are absolutely adorable! Such a cheeky grin. And a good idea to post a different Christmas tee each day, but I won't be posting a pic of mine until MUCH closer to Christmas. We always put the tree and the decorations up just a few days before Christmas, and I still do that. And everything has to be back in the box by Twelfth Night. 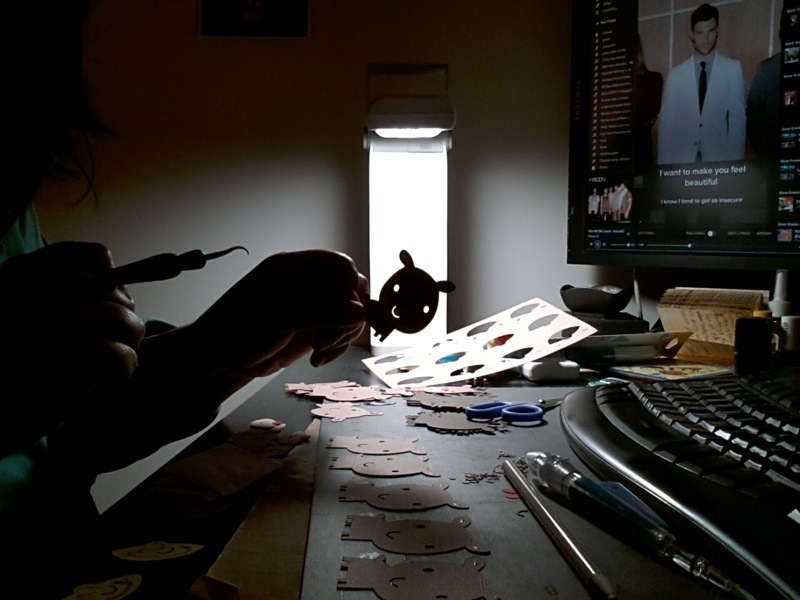 you really should have a booth somewhere and showcase your projects. Doesn't matter where you're going with these, they're already super cute. Love your CTOD idea. keep it up!